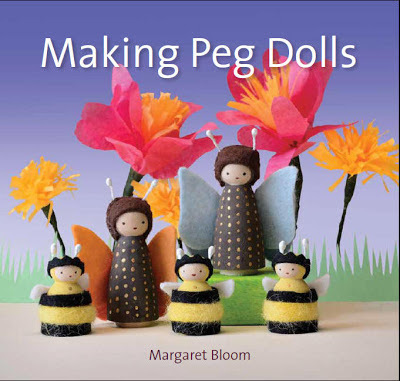 I am delighted to be a part of a wonderful book tour promoting the super inspiring and beautiful book Making Peg Dolls by Margaret Bloom of we bloom here. Given my fascination with tiny, imaginative, storytelling toys, I was immediately drawn to the whimsical dolls that fill the pages. They are all so sweet! And, charming! And, magical! When we first received the book, I snuggled into the couch with my daughters and the room was filled with gasps and giggles, sighs and squeals -- we were smitten. I asked Margaret if she'd answer some questions about Making Peg Dolls and she kindly did. Emily: What were your favorite toys to play with when you were a child? 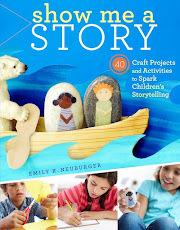 Emily: In the introduction, you mention that you made your first peg doll in December 2010. What did this little doll look like? And, what inspired you to make it? 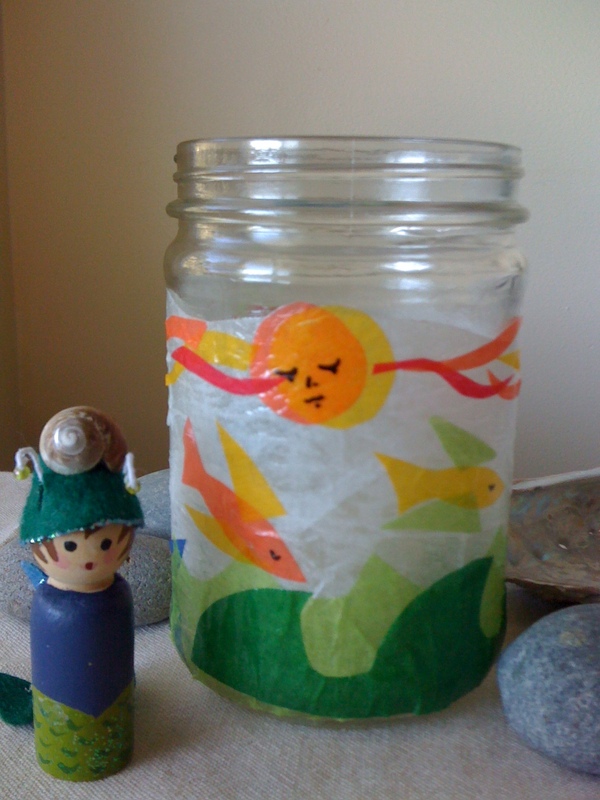 Margaret: The first peg doll I created in December 2010 was a little water sprite (you cannot see in the photo, but she has wings and also a tail!) She was created for a Summer Season Craft Exchange which I wrote about in a blog post here. Emily: Can you describe the process of writing Making Peg Dolls? When did the idea come into your head and how did it come to fruition? Were there exciting moments that stand out in your memory? Hard moments? Margaret: After making my first doll, I proceeded to create fairies, pixies, gnomes & sprites, bumblebees, bears, bluebirds and owls but had no interest in selling my work. I was creating far more dolls than my children could ever need as playthings and this was puzzling to me -- I couldn’t figure out why I was so compelled to make them. Then, via my blog, requests started coming to me for tutorials, and once I started writing tutorials, I realized that they could be the basis for a book proposal. The process of creating the book itself was fairly straightforward. First I made all the dolls, then created the written portions, and finished up with the illustrations. Each day, the moment my little one went down for his afternoon sleep, I sat myself at the kitchen table to work. It took a fair amount of discipline, and most days, I would not even allow myself to wash dishes while he was sleeping because I had set this time aside for the book. Good music helped keep me on track; I listened to a lot of Jolie Holland, Renee & Jeremy, and the album Leave your Sleep by Natalie Merchant. There were certainly days when exhaustion and frustration got the better of me. On one of those days I lined up the cabbage, carrot, corn and tomato peg dolls on a cutting board with a knife and told them that if they did not behave themselves they would all go into the soup. I swear the carrot peg dolls looked a bit alarmed. 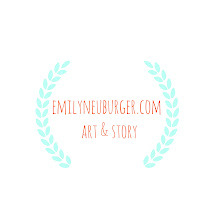 Emily: The craft styling in your book is gorgeous and so enticing! For example, the Martinmas (page 117), Bluebirds (page 30), and Owls (page 104) make me smile. Oh my! It is all such a feast for the eyes! Can you tell us a bit about how these scenes were designed and created? Margaret: Thank you for your kind words!! I had in my mind that each scene would be a little world unto itself for the dolls to inhabit; some of the scenery was constructed even before I created the dolls. The props (such as the trees, grass, and witches house) are made from cardboard and simple in design, which I felt complemented the design of the dolls. I also had in mind that some of the dolls would be photographed among items from nature. When I am in the garden or walking outside, my eyes are always open for fallen branches, moss and acorns which leave my coat pockets perpetually mossy and twiggy. Emily: Do your children make lots of peg dolls at home? Do they have favorites? Margaret: My older son will sometimes see me working on dolls and sit down at the table to create his own. Last week he painted up crew members to accompany a pirate peg doll we recently unearthed in a forgotten stash. My little one has a dandelion doll which he calls his baby, and he has three large-sized peg dolls which live in our box of wooden blocks. Many a tragedy has befallen these poor block-box dolls; every time a new home is built, it seems the house is dashed to the ground before they’ve hardly settled in. On a positive note, due to the insistence of my older son, these three larger dolls have recently acquired pencil-drawn noses. As for favorites, with unbiased hearts, my children seem to love every doll I create. When I make dolls as gifts, my older son inevitably looks woebegone and asks if we can’t just keep them for ourselves. Emily: What is your idea of a perfect Sunday morning? Margaret: Oh, gracious. This is embarrassing. There is temptation to inquire whether you could ask a different question instead of fessing up to the fact that we are horribly lazy on Sunday mornings. Paul and I make our way through the Sunday edition of the San Francisco Chronicle and a big pot of coffee. My older son loves to read the comics page, while my little one likes to grab sections of the paper and run circles through the house. I usually make French toast from thick slices of challah, and pajamas are the mandatory dress code until noon. To me, this is perfection. Emily: Thanks, Margaret! 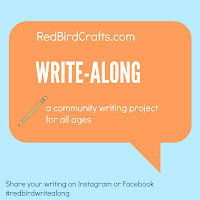 I can’t wait to share your answers with my readers! Margaret: You are so very welcome! I have one copy of Making Peg Dolls to give away! Just leave a comment and a way to reach you on this post. I will keep the giveaway open through this coming weekend and and randomly choose one winner on Monday morning.